Congratulations to Bryce McNeil on his purchase of this awesome Mazda CX-5! 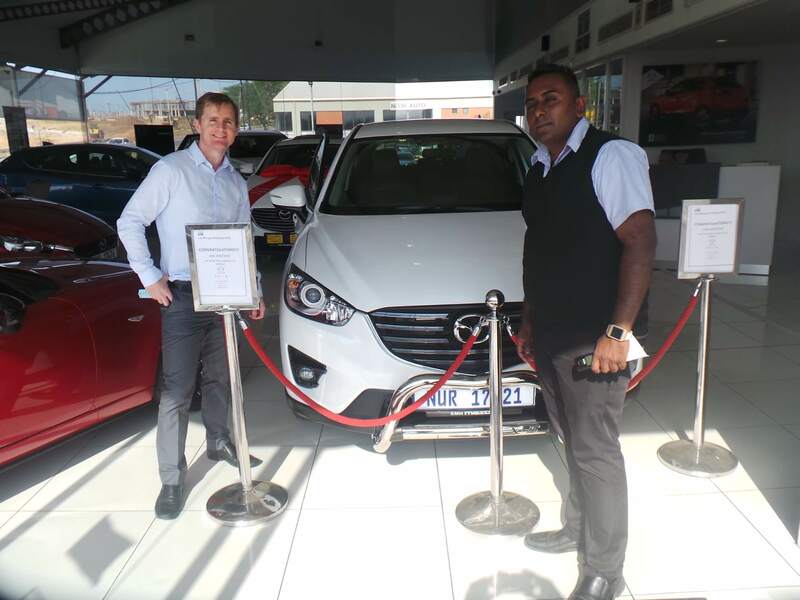 Team CMH Mazda Umhlanga wishes you many fantastic and enjoyable motoring miles. We wish you totally enjoy the Mazda experience and have many more safe and unforgettable miles! 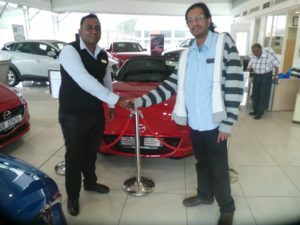 Congratulations to Dr Bagwadeen on his purchase of this awesome Mazda MX-5 Roadster in a delectable Soul Red. Team CMH Mazda Umhlanga wishes you many fantastic and enjoyable motoring miles. We wish you totally enjoy the Mazda experience and have many more safe and unforgettable miles! Thank you for your continued and loyal support. Congratulations to Dr Dlamini on her purchase of this gorgeous Mazda2. We wish you enjoy the thrills and adventures you experience in your new ride. We at CMH Mazda Umhlanga wish you create many more unforgettable memories in your wheels! 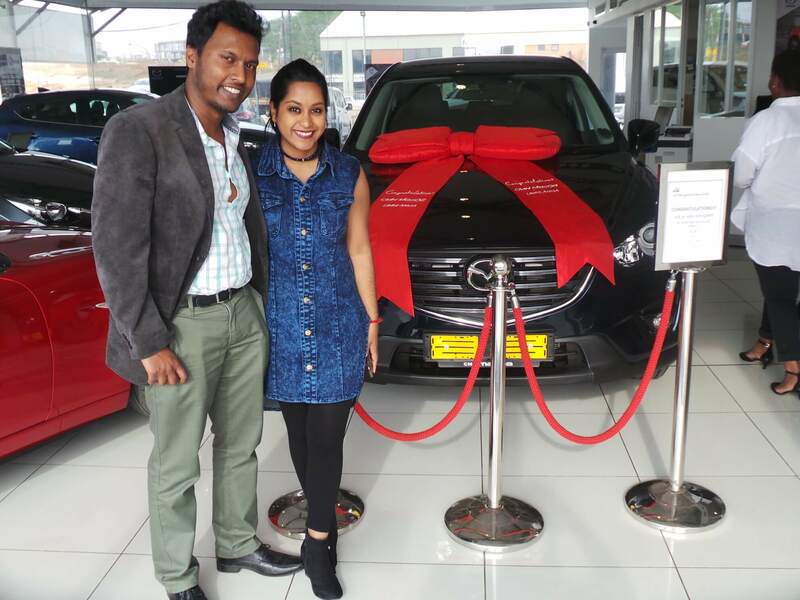 Congratulations to Mr & Mrs Rangiah on their purchase of this adventurous Mazda CX-5 in a delectable Deep Crystal Blue. We at CMH Mazda Umhlanga wishes you many fantastic and enjoyable motoring miles. 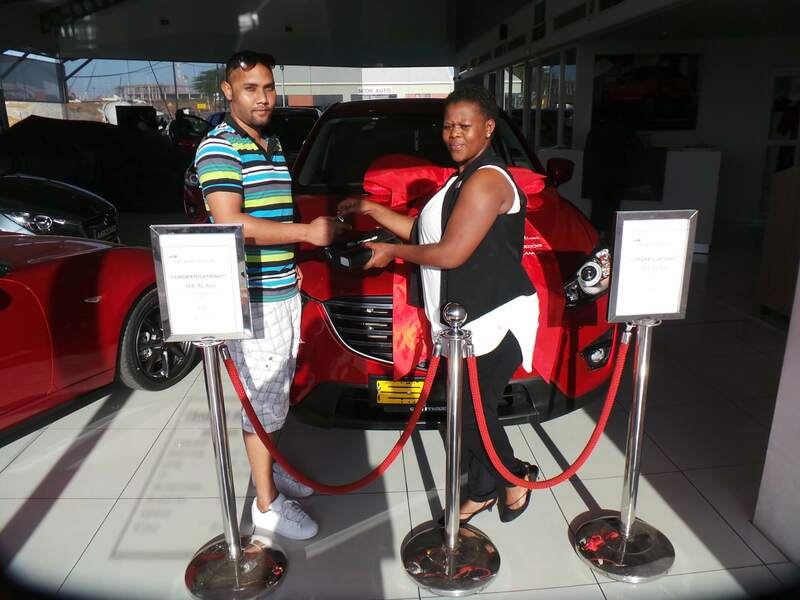 We hope you create many more unforgettable memories in your new elegantly poised CX-5! 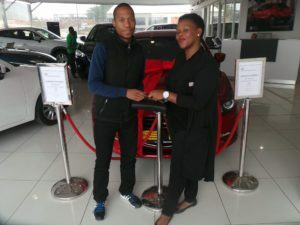 Congratulations to Mr JE Ngciva on his purchase of this gorgeous Soul Red Mazda3. We wish you enjoy the thrills and adventures you experience in your new ride. We at CMH Mazda Umhlanga wish you create many more unforgettable memories in your wheels! Congratulations to Mr Watson on his purchase of this awesome Mazda CX-5. 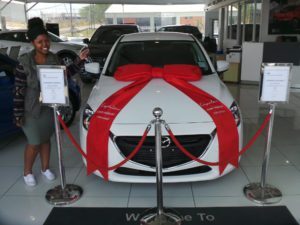 We at CMH Mazda Umhlanga wishes you many fantastic and enjoyable motoring miles in your new ride! Thank you for your continued and loyal support.